In the software engineering field, every software product is delivered with its pertinent associated tests which verify its correct behaviour. Besides, there are several approaches which, integrated in the software development process, deal with software testing, such as unit testing or behaviour-driven development. However, in the ontology engineering field there is a lack of clearly defined testing processes that can be integrated into the ontology development process. 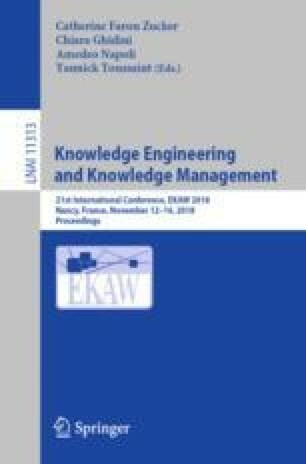 In this paper we propose a testing framework composed by a set of activities (i.e., test design, implementation and execution), with the goal of checking whether the requirements identified are satisfied by the formalization and analysis of their expected behaviour. This testing framework can be used in different types of ontology development life-cycles, or concerning other goals such as conformance testing between ontologies. In addition to this, we propose an RDF vocabulary to store, publish and reuse these test cases and their results, in order to allow traceability between the ontology, the test cases and their requirements. We validate our approach by integrating the testing framework into an ontology engineering process where an ontology network has been developed following agile principles. This work is partially supported by the H2020 project VICINITY: Open virtual neighbourhood network to connect intelligent buildings and smart objects (H2020-688467) and by a Predoctoral grant from the I+D+i program of the Universidad Politécnica de Madrid.